With locations in Dallas, Fort Worth, Austin, San Antonio, Kansas City, Charlotte and Phoenix, Legacy Heart Care and Trinity Heart Care combine as the nation's leading provider of EECP®, or Enhanced External Counterpulsation therapy. Clinical studies over the past several years have shown that about 80% of patients treated with a single course of EECP® experience a reduction in angina and shortness of breath and are able to return to a more active lifestyle. We have scheduling available throughout the entire day, please contact us for more information. 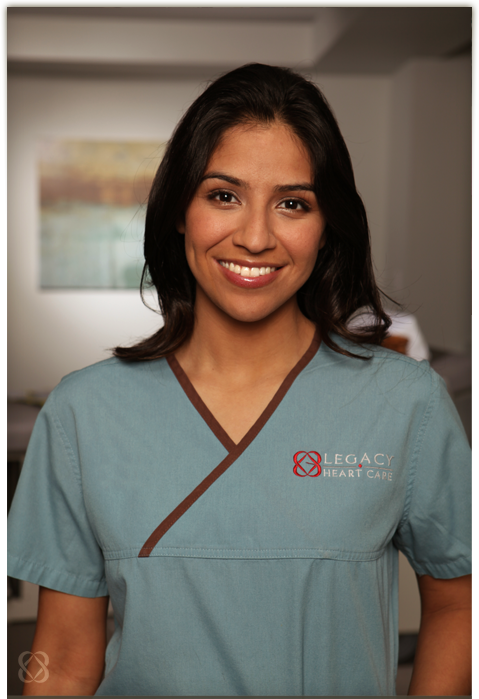 Legacy Heart Care has seen very exciting results from those who have come through our doors and completed the EECP® experience. President, Michael Gratch, started Legacy Heart Care in 2003 after his grandfather had two bypass surgeries and still didn't have the energy he desired. Before beginning his treatment, his grandfather would suffer from shortness of breath by just walking in from his car. EECP®, combined with attentive care at Legacy, changed his lifestyle back to where he wanted it to be. After the completion of his EECP® treatments, his grandfather was able to plant a full vegetable garden, which would have been impossible two months before. Nearly every one of Legacy's patients has a special story which makes the whole experience extremely rewarding. At Legacy Heart Care we join our patients in their battle against some of life's unwanted conditions such as chest discomfort, high blood pressure, shortness of breath, and fatigue. Others use our services to create a healthier lifestyle by strengthening their heart and improving circulation. We assure you that we are dedicated to helping you get the zest for life you desire. We encourage you to do your own research on EECP® and Legacy to see for yourself that we provide the best possible care. If you would like, come by and Michael will personally show you around. Our doors are always open. Please contact us with any questions you have or to find out more. Patients report increased energy, reduced or eliminated angina, and better rest.